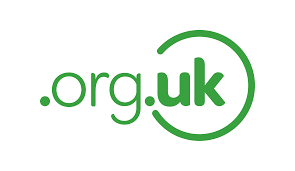 Please note that the registration and transfer of .org.uk domain names are dealt with by Nominet, the national registry for all .uk domain names. Please visit Nominet's website for their terms and conditions which all owners of a .uk domain name have to accept. If you were to purchase a domain name via us, transfer of ownership of the domain name is not undertaken until payment is received in full and all legal documents have been completed and accepted by the relevant bodies. Once payment has been received in full the seller will notify Nominet that a domain name is to be transferred to the purchaser. For this to occur the seller will pass on the purchaser's email address so Nominet can contact the purchaser and obtain their acceptance of the transfer. The domain name buyer has to pay within thirty days of invoice date; if this remains unpaid, we retain the right to cancel the sale of the domain(s) noted in the aforementioned invoice with a credit note. The domain name buyer is responsible for the Nominet transfer of ownership fee (currently £10 + vat). If the buyer chooses to use Escrow, the buyer will be responsible for all Escrow fees. After you have made the payment in full, refunds are not possible if after 28 days you have still not accepted the legal transfer. Once the transfer is completed and you are the legal owner, no refunds are possible. All domain names have an expiry date if not renewed, after purchasing a domain name via us, your organisation will be responsible for renewing the domain name in question. We reserve the right to withdraw any offers made by us to hold a domain name for you or your organisation if no agreement to buy is reached within seven days. Brokering fees are to be agreed via email by all parties concerned prior to any services being undertaken. We pride ourselves on achieving the highest level of customer service; if you feel this is not the case then please email us via the contact page and we will endeavour to rectify the situation within 24 hours. If you feel the situation has not been resolved to your satisfaction then please contact Nominet and register a complaint. The author, its officers, agents and employees makes no representation or warranty whatever about any information contained on this Website. In no event will the author, its officers, agents and employees be liable to any party for any direct, indirect, special, general, consequential, economic, or non-economic damages for any use of this Website, including without limitation, any loss, loss of profits, business interruption or delay, loss of data, corruption of data or otherwise, even if the author, its officers, agents and employees has been expressly advised of such possibility. By using this Website the user acknowledges and agrees to this limitation of warranty and exclusion of liability. The author, its officers, agents and employees disclaim and exclude to the fullest extent permitted by law all liability for any loss or damage whatsoever arising in tort, contract, equity or otherwise and arising out of or in relation to your use of or inability to use this Website. Information obtained via the author of this Website or the Website itself which has been provided by third parties and/or information on any other website which is accessed via this Website has not been independently verified by the author. Neither the author nor any of its officers, agents or employees will be liable for damages arising out of or in connection with any third parties and will not be held responsible in any way for any transaction entered into between you and third parties offering goods or services via the author of this Website or the Website itself.